What: Hop-on Hop-off bus tour. Don’t Miss:Any of it – Palma is a beautiful capital city! 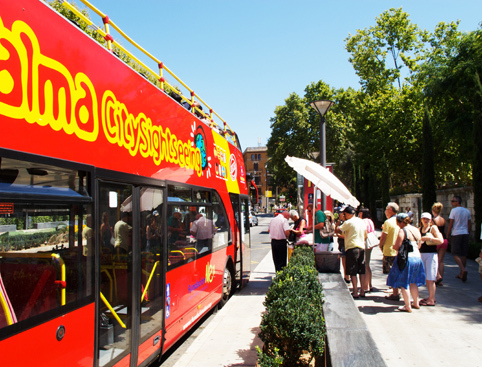 Working out routes, times and transport options in a foreign city can be stressful and time-consuming – so take the strain out of seeing the top sights in Majorca’s wonderful capital city with the hop-on-hop-off City Sightseeing Palma bus tour! 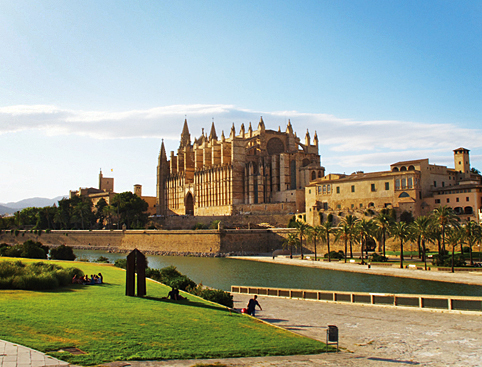 Discover the delights of Palma without worrying about route-planning or transportation! 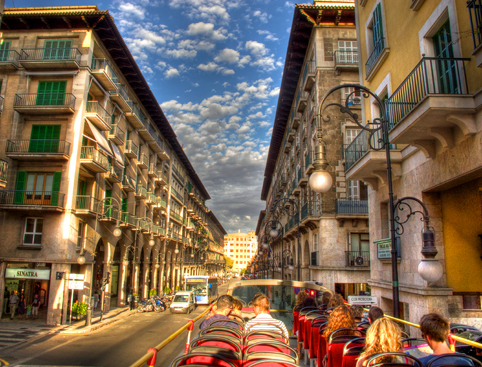 The hop-on hop-off City Sightseeing Palma bus tour takes you to all the top must-see sights and attractions in this beautiful capital city, where you can hop off at any point and explore for as long as you like before continuing your tour! Palma, which is a heady mix of culture, history and fantastic nightlife, has a population of 325,000 and a good-size, busy port. Take time to explore the narrow streets of the fascinating central area and hop off at The Palau de L’Alumndaina royal palace which has stood since the Arab conquest and is home to the Royal Family to this day. 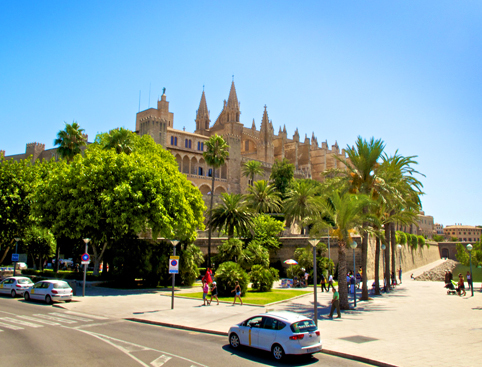 Relax by the fountains in lush, shady gardens of the Palace while taking in the sweeping views over the bay of Palma. Or why not visit Castell de Bellver where you can wander at leisure through the pretty courtyard, castle grounds and surrounding parkland? Admire the inspiring views of the city from the castle park, which looks out over Palma Cathedral, the busy marina and Serra de Tramuntara mountains. All this and much more is waiting to be explored in Palma – simply hop off at the right stop during the 80-minute City Sightseeing Palma bus tour and hop on again to move to your next destination! Available daily all year round. The complete tour loop takes about 80-minutes in total. Antonio Maura-Plaza Reina, or hop-on at any of the stops along the route. 24 or 48 hours from first use. Within this period, your ticket can be used as many times as you like. Pre-recorded commentary is available in Spanish, Catalan, English, French, German Italian, Portuguese and Swedish.